Over the past few years, the Digital Strips podcast has highlighted time and again how the way we interact with, discover, and read webcomics has changed. And now, it seems others are listening as well! Jason Brubaker’s (reMIND, Sithrah) recent YouTube manifesto on the changes and challenges to webcomics has been making the rounds, so we’ve gathered here five of the best webcomics (and their creators) that have already embraced the five elements of change Brubaker highlights in his video. 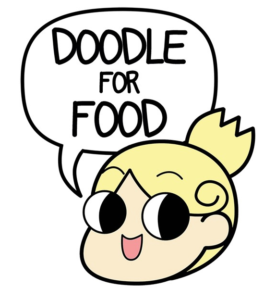 It’s no secret that Patreon is a key element of modern webcomics viability: the small orange logo has become a staple on people’s websites, blogs, and social media links. In fact, Graphtreon shows that the number of comic creators using Patreon as a platform has grown by nearly 30% over the past 12 months alone – currently making over 6,000 creators linking their comic to Patreon! McGovern uses her Patreon profile and reward system to personally connect with her fans, offering behind-the-scenes access, one-on-one time with her fans, and personalised rewards: everything about making those connections even stronger. 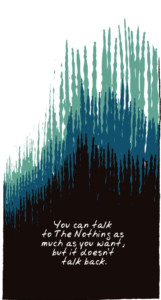 It’s hard to go past Stephen McCranie’s Spaceboy as an example of doing Webtoons right. 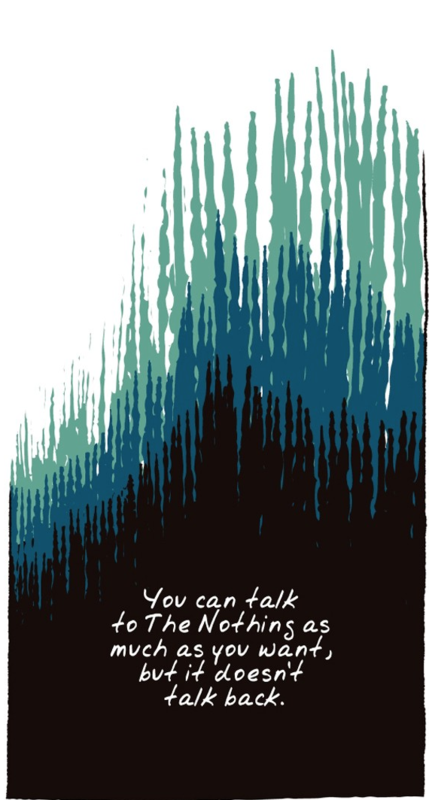 Besides being a great comic in it’s own right, Spaceboy excels at using the Webtoons format as part of the story – McCranie integrates the scrolling aspect of the site’s mobile utilisation as part of his storytelling, using prominent fades and blending between panels to create a single reading experience. McCranie’s understanding of the format was so good, in fact, that he won the first Webtoon Contest in 2015 with his early run of Spaceboy – you really can’t be better than the format than that! Sharing comics across Social Media has, indeed, become the new way to promote one’s comic. Whilst some creators are still feeling their way into this, or only posting a few panels at a time and linking back to their personal websites or the full experience, creators like Chris Hallbeck (Maximumble) have been posting their full comics to Twitter and Instagram for years. 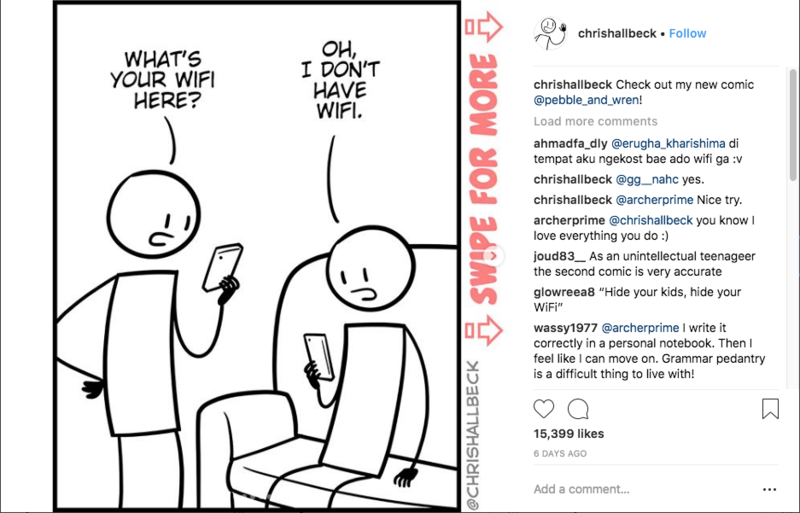 Hallbeck’s Instagram account, in particular, is killing it: and really shows the power of the platform for getting a comic out there and into the eyeballs of readers. 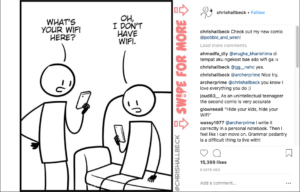 A Post shared by Chris Hallbeck on his Instagram Account – with 15.4k likes! For our YouTube example, why not turn to the man who kickstarted this entire discussion – Brubaker himself? Jason Brubaker is prolific with the content he posts on YouTube: instructional videos, theoretical essays, long (looooong) Q&A videos – every way for a creator to interact and associate with their fans. And if his 18k subscriber channel is anything to go by, it’s an approach that people respond to! 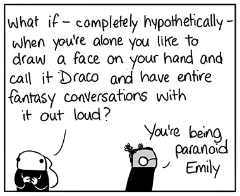 We already touched on this a little when we talked about Webtoons, which is optimised for a mobile reading experience. However, there are other comics that take advantage of the mobile format. 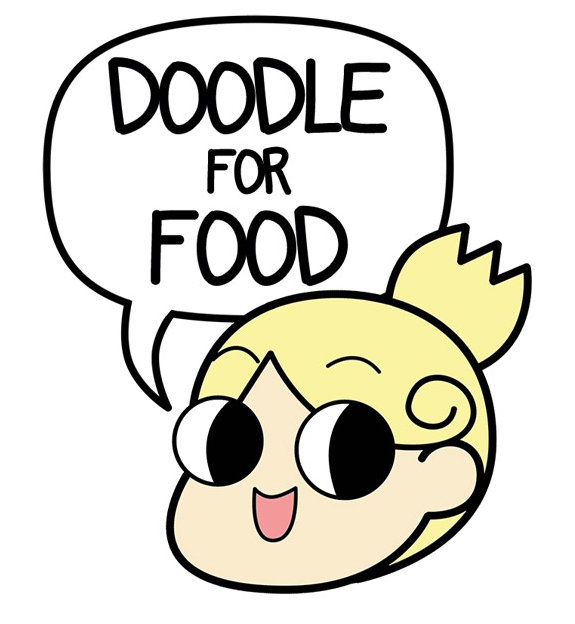 Comics like Doodle for Food by Megan McKay are optimised both ways – an infinite vertical scroll on the computer monitor, and panel-by-panel side-swiping on mobile devices. Truly, the best of both worlds! Aha, a surprise sixth category! Honestly, we’re just including this because Brubaker highlighted it’s closure as a catalyst for his focusing on the elements above – you can see our reaction to the announcement of the service’s closure in our article on the subject. Do you know any other comics that demonstrate Brubaker’s principles for the new Webcomics world order? Or do you think this is a lot of coverage about nothing new or surprising? Let us know in the comments below or on Twitter and until next time, remember: don’t eat the clickbait! This entry was posted in Editorial, News and tagged chris hallbeck, digital strips, Doodle for Food, emily mcgovern, Gunshow, jason brubaker, kc green, maximumble, Megan McKay, My Life As A Background Slytherin, patreon, remind, Sithrah, Spaceboy, stephen mccranie, Terence MacManus, webcomics, Webcomics have changed by The Average Joe. Bookmark the permalink.